The front of the medal shows the date 1839 and depicts two knights on horseback to commemorate the medieval style tournament and feast held at Eglinton by Archibald Montgomery, 13th Earl of Eglinton, in 1839. The medal is probabaly made by William Wyon (1795-1851) in England. Wyon is the name of a talented family of Designers, Die-engravers and medallists whose period of activity extended from before the middle of the 18th century to almost the end of the 19th century. 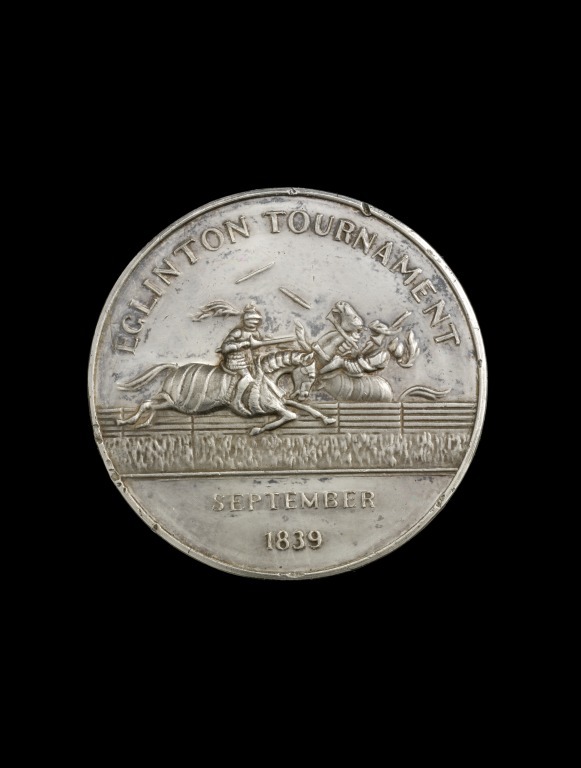 Obverse: Two knights on horseback are shown tilting. Inscription. The reverse is plain. Given by Professor J Hull Grundy MBE, and Mrs Anne Hull Grundy, 1978. 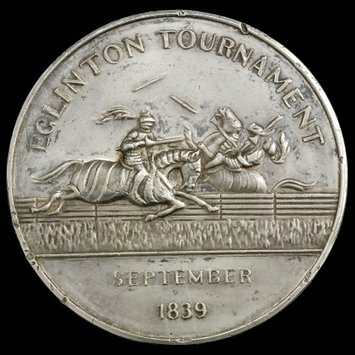 Made to commemorate the medieval style tournament and feast held at Eglinton by Archibald Montgomerie 13the Earl of Eglinton in 1839. A contemporary description of this event is given in the Gentleman's Magazine, 1839, vol. II, pp. 414ff. Forrer, Bibliographical Dictionnare of Medallists, vol. VI, p. 682.